Warner Edwards are craft distillers and lifelong friends who make absolutely exceptional handcrafted British gins. In Falls Farm in Northamptonshire, Warner Edwards was born from a dream to produce a farm made, handcrafted product using the farm and its botanicals. Up to now their flavours include Elderflower, Sloe and even a Honeybee gin made with delicious homegrown honey! We’re going to focus on their Victoria’s Rhubarb expression which is something very special. Warner Edwards gin is truly handcrafted, from the handpicked botanicals down to the wax seals and labels on the bottles! The bottles are intricately designed and feature somewhat of a riddle ‘curiosity killed the cat, but satisfaction brought it back’. Though we may know the phrase, in this instance it refers to the distilleries bespoke copper pot still, named Curiosity, and a mini copper pot still named Satisfaction! It’s in these lovingly named stills, with spring water from the farm, that the award-winning Warner Edwards gin is made. 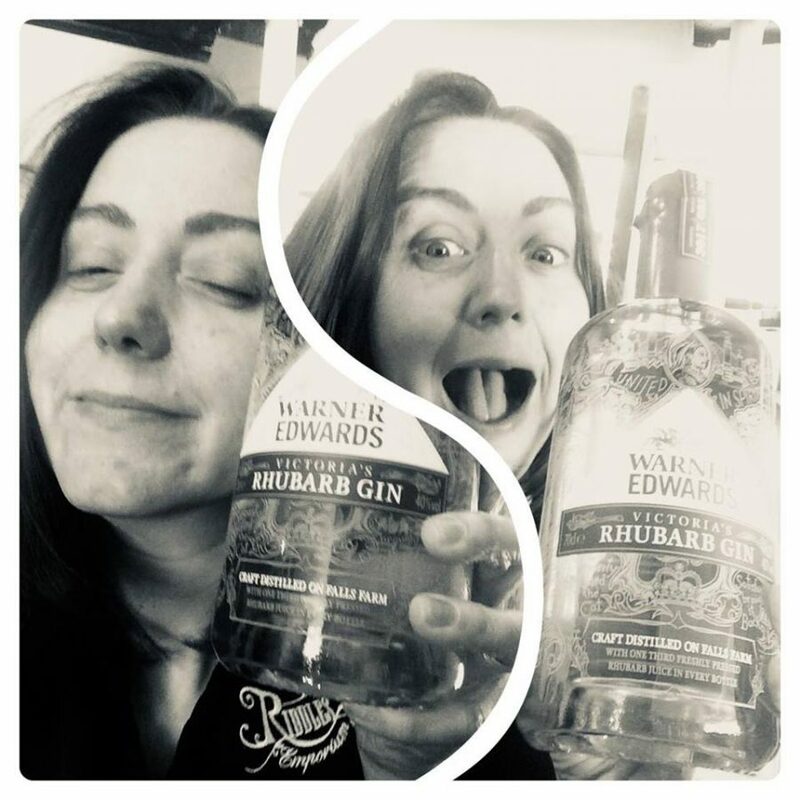 Their Rhubarb Gin won a Silver Quality Award at the Independent Wine and Spirits Competition in 2015 and infuses Warner Edwards Harrington Dry Gin with fresh rhubarb juice. The particular variety of rhubarb used is the same as Queen Victoria’s personal rhubarb crop that was grown in the gardens of Buckingham Palace. It is now harvested from the Crown Estate in Lincolnshire where it is grown traditionally in Victorian garden soil which improves the flavour (really!). The rhubarb is gently heated for a few hours before being pressed to extract the delicious pink juices. A concoction of rhubarb juice and gin is blended beautifully to create Victoria’s Rhubarb Gin. With the addition of a little sugar to balance the acidity of the rhubarb, the gin is naturally pink in colour with an extraordinary taste. With notes of lemon and nutmeg on the nose, the scent of the gin is light and leads to the full bodied fresh rhubarb flavour. On the palate, Victoria’s Rhubarb is a combination of sweet and sour notes. An explosion of flavours, the gin has a burst of tangy royal rhubarb and is delicately balanced without being too sweet or sour. It makes even the most experienced gin drinkers ‘ooh!’ with delight, it’s not your traditional fruit gin. With the traditional notes of juniper and cardamom coming through from the dry gin, this is one spectacular spirit! At 40% it is a full-strength gin rather than a liqueur which makes it unique. Warner Edwards Victoria’s Rhubarb Gin is smooth enough to sip on it’s own and also matches perfectly with ginger ale. © 2018 Riddles Bar Ltd • Website handcrafted with love by Impact Business Advisors.